A CURT breakaway system is designed to activate the trailer brakes in the event of a vehicle-separation. All kits come with a rechargeable battery, a breakaway switch and a mountable carrying case for the battery. 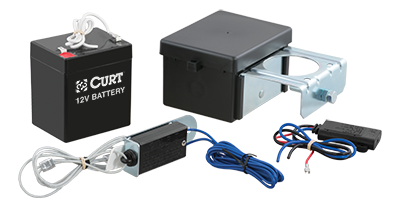 We also offer models with built-in battery testers.